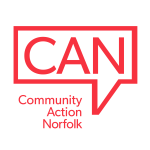 Palliative care is about maintaining the best possibility quality of life in that situation and CAN is working closely with the North and South Norfolk Clinical Commissioning Groups on this very issue. Michelle Wilkins, our Community and Voluntary Sector Coordinator (Palliative Care) is developing long term support solutions as part of the North and South Hospice at Home Service. The objective is to build links between voluntary and community organisations, local hospices and community health providers to create a practical, responsive network for local compassionate support – both for the individual and, where appropriate, for their family too. A co-ordinated approach to providing information and consultation, and develop activities, in and for the community. People need to know what support is available, and how to access it. Developing a referral system that fits with the Social Prescribing model that’s been adopted within the Norfolk and Waveney Sustainability and Transformation Plan. Identifying ‘hidden carers’ - people who may be functioning as carers for a relative or family fiend but, because they don’t identify themselves in that role, don’t access support services. Engaging with community-based organisations needing additional services and capacity development, to improve access to potential services – especially in areas where inequality and isolation are prevalent. Developing local level support for people living in rural areas where there are identified gaps in provision – for example, encouraging local community groups to meet regularly and share learning and experience. Analysing where gaps exist in care provided by VCSE organisations and look at ways to improve provision – including supporting new volunteers in under-resourced areas. Working in partnership with other organisations to provide a co-ordinated approach to community information, consultation an activity.